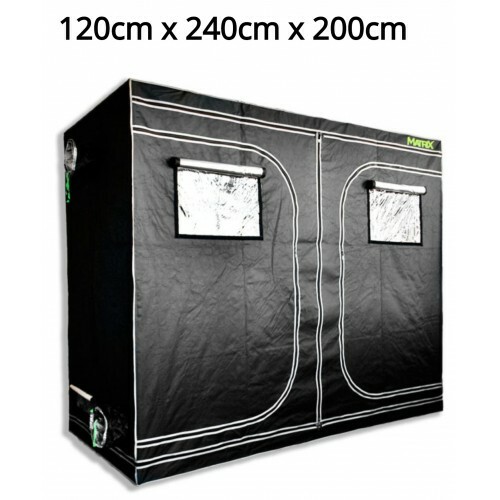 The Canna Coco 240cm Wide Grow Tent Kit can comfortably hold 10 plants and comes complete with everything needed for both novice and professionals featuring a 120cm x 240cm x 200cm grow tent, 2 x 600w dual spectrum grow light, 6 inch rhino hobby extraction kit and both canna nutrients and growing medium are made from the superb canna. with 3.8 and 16 litre fabric plant pots making it the ideal grow kit with its easy installation. Matrix is a high-quality, entry-level tent range. The small to medium tent options start at 0.8m x 0.8m x 1.6m and range up to 1.2m x 1.2m x 2.4m in size. The large to extra-large options range from 2.4 x 2.4 x 2.0m to 4.0 x 2.0 x 2.0m. The new HighPro TT ProFan is simple to use. 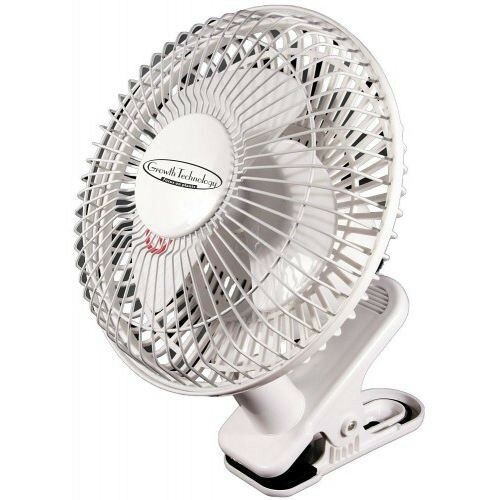 Each fan is wired with a 3 pin UK plug and 2M cable and features an external switch for changing the fan speed between min and max can be used as a intake fan or extraction fan. 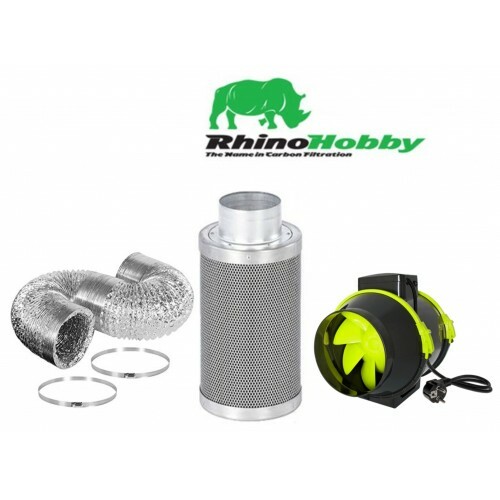 The Rhino Hobby filters are mimicked on the Rhino Pro range, so you know you are getting a quality carbon air filter. The carbon is what attracts and absorbs the bad air and pollutants, so is a very important part of the filter system. The only difference between the Hobby filter and the Pro filter is that there is a lesser density of carbon in the Hobby, 30mm precisely. But this is easier for a novice grower to handle and manage. The reversible neck, one of its kinds on the market, will help extend the life of the carbon and ensure it reaches its 12 month lifespan, if not longer. All the Rhino Hobby Kits come with Rhino ducting and 2 Rhino clamps. All additions are genuine Rhino accessories. 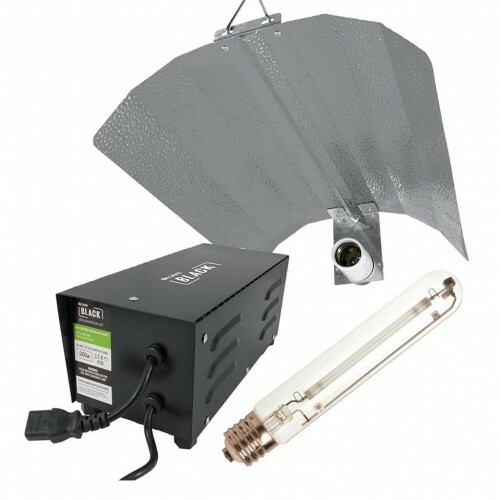 A Great value for money grow light kit with a 2 year warranty, one of the UK'S biggest value brands so rest assured quality and customer service will be on your side.Includes lamp, ballast and reflector, suitable for start to finish. The LUMii BLACK Reflector is a Dutch Barn-Style, Euro Reflector. Included with a lamp holder, V hooks for hanging and a 4m cord set. 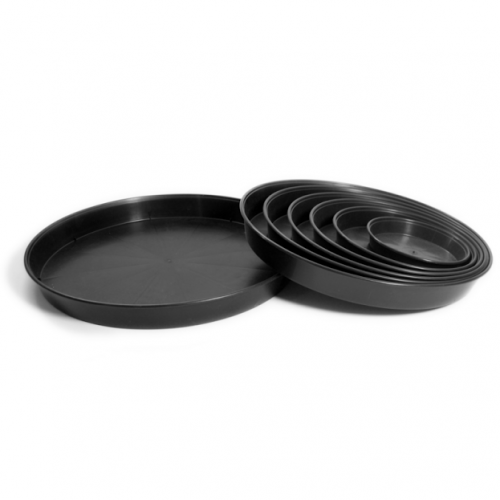 The LUMii BLACK Euro Reflector is quite simply a great budget reflector at a great price! 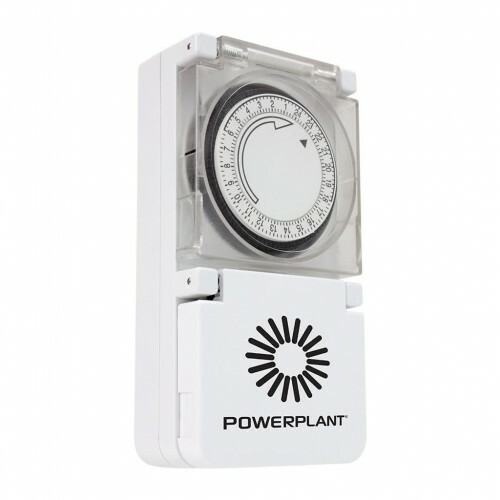 The PowerPlant Heavy Duty Timer is different. It is designed to take high loads and has no problem dealing with the inductive loads produced by a 600w ballast. This means no separate contactor/relay is required and saves you money. It has a 96 switching operations within a 24 hour period (every 15 minues). This timer is suitable for timing one 600w HID ballast. 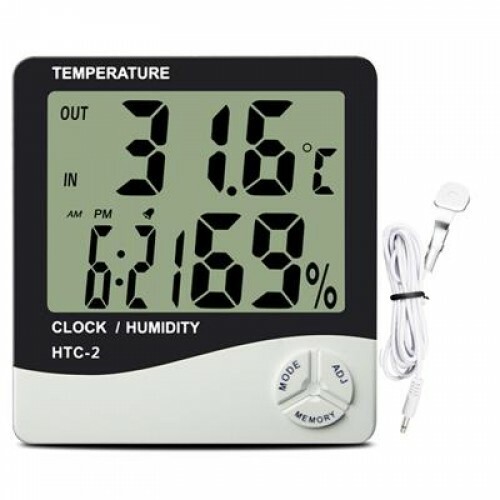 It has a robust case design with socket and timer dust/moisture covers. Normal household timers are not built to take the high inductive loads produced by HID ballasts. If used with an HID ballast - the contacts inside the timer that open and close the timed circuit will overheat and weld together - breaking the timer and leaving your grow lights permanently on. The LUMii Rope Ratchets adjust the height of your reflector to get the most light to your plants as they grow. They pull tight, lock into place and they are really durable. They are tough and are heat and cold resistant. 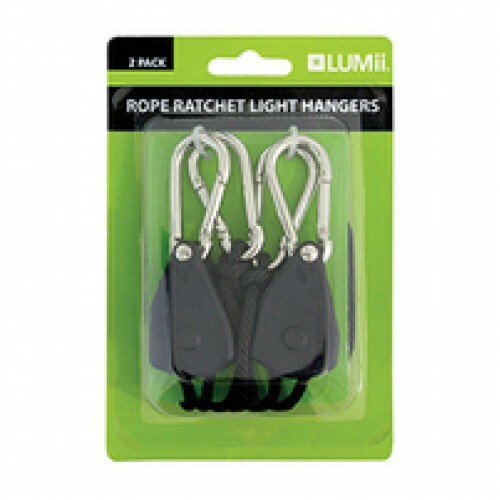 Each LUMii Rope Ratchet has two quick release carabiner clips at each end for ease of use and 2.4 metres of tough braided polypropylene rope. The 6 Inch Clip on Fan is a great little product that’s ideal for keeping the air moving around in a small area such as a grow tent, without it taking up valuable floor-space like a pedestal fan. The fan can be clipped to a tent frame, shelf or any similar width fixing. The main body can be tilted and swivelled on the clip so that it points in the direction that you want it to blow. The fan has 2 speeds and is designed to create very little noise. The fan only uses 15 Watts of power which makes it very cheap to run.Simply locate the fan by squeezing the ends of the clip together and locating the jaws over the pole a tent-frame, shelf or similar width item and release. The jaws will hold on, keeping the fan in place. Rotate and tilt the head on it’s pivot so that it is pointing in the correct direction. Plug the fan into a mains outlet and then switch the fan to “1” for a light breeze or to “2” for a stronger flow of air. The switch can be set back to “0” to switch the fan off again. Root Pouch Fabric Plant Pots can be used for any type of size of plant. The larger fabric plant pots are designed with handles,which makes them ideal for transporting plants. 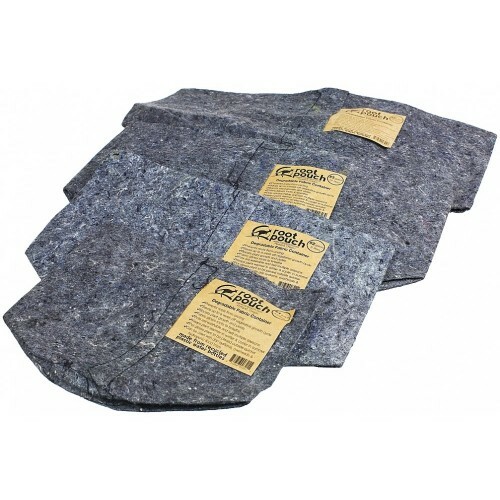 They are also extremely durable and lightweight. Whether you are growing trees or potted plants, they will produce healthy growth either above or underground. A Root Pouch Fabric Plant Pot self-degrades to allow the plants roots to grow comfortably in the natural environment. Root Pouch pots may be used in a variety of different soil and climate conditions including clay and desert sand. Root Pouch Fabric Pots are designed from reclaimed plastic bottles. Not only does this make for a good environment for plants, but it saves the bottles from being sent to landfills and prevents the production of new plastic materials, which then cuts back on the use of fossil fuels and petroleum. So not only are they are beneficial for plant growth, but they are good for the environment as well. As they are designed from polyethylene (PETE, or the plastic from the bottles),they will disintegrate slowly over time. This plastic is spun into fibers from recycled cotton fibers as well. There are four versions and the disintegration process varies from six months to six years. Root Pouch Fabric Pots allow for a denser root structure as they are allow for more airflow and are water efficient. 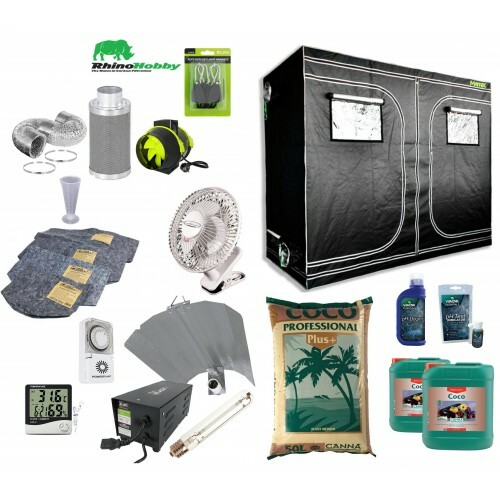 This provides superior protection and insulation for your plants against both the hot heat of the summer and the bitter cold of the winter. Canna Coco Professional Plus is an Organic Coco-Based Medium that provides optimum growth conditions for excellent plant health and root development. 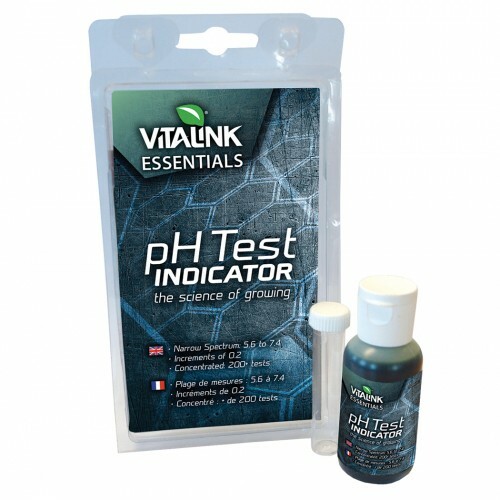 This high quality medium has a homogenous structure which means that no nutrients are absorbed by the coir allowing your plants to fully benefit from your nutrient solution alongside synthesised water and air flow system that provides an ideal growing environment. During the production process, Canna ensures that the product is free of any potential diseases or viruses by using strict quality control methods and also contains Trichoderma, a type of fungus which protects plants further from common soil diseases. 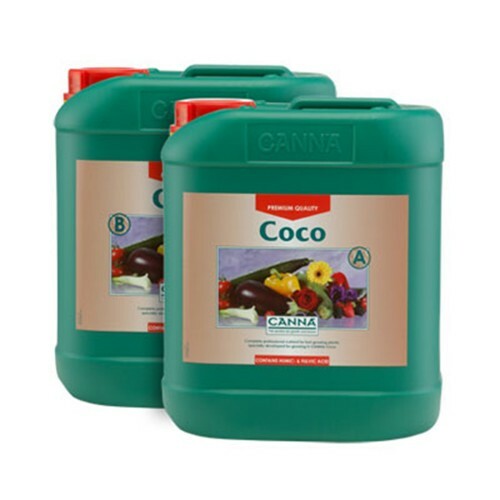 For superb results you should add a nutrient, mix to your coco medium such as Canna Coco A&B as your selected Organic Coco-based Medium does not contain any nutrients and it is also advisable to add a calcium supplement as coco absorbs calcium and provides potassium. 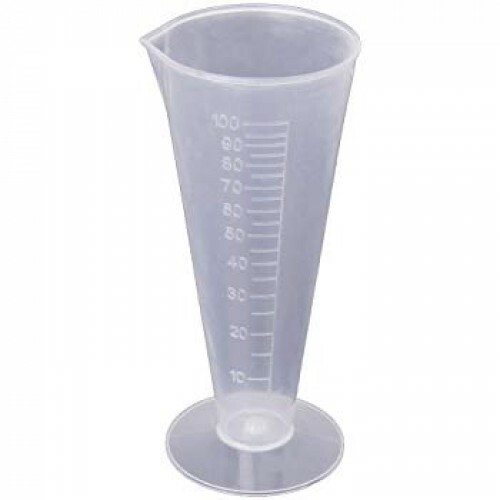 This product is ready to use straight from the package as it has already been treated and washed. Canna Coco Professional Plus is one hundred percent proven to give your plants super vigorous root growth and strength while providing an extremely aeriated soil environment. If you desire overall healthier plant life with stronger roots for proper uptake of nutrients that will give the utmost in quality produced crops with higher levels of crop yields, using Organic Coco-based Medium will give you weed and virus free growth with all natural ingredients free of harsh chemicals and additives. Canna Coco A and B is a revolutionary, (and often imitated, but never quite duplicated), beneficial nutrient that contains all of the essential elements necessary for a healthy and abundant crop. This easy-to-use formula does not come in a Flores or Vega form as it is basically a unique combo of both in that it works for both the growth and blooming cycles for plants! Canna Coco dissolves quickly and easily so it is safe to use in “drain-to-waste” systems that contain coco coir. After years of research with various types of growth systems including potting and drainage systems, Canna was the first to develop this unique formula that is specially geared toward coco growth environments. As it is composed of high minerals, it is extremely beneficial for healthy plant growth and development. Both private and corporate growers rave about the extensive growth and budding with this amazing product. Directions for use: Never add parts A&B at the same time as it will cause an adverse reaction. Add Part A and then wait at least 10 minutes before adding part B. Never mix the 2 together in their concentrated form as well. The IWS 24 Pot Flood & Drain System is the finest horticulutral system of it\'s type on the mark..
Matrix 1.2m x 2.4m x 2.0m Grow Tent Matrix is a high-quality, entry-level tent range. The small..
GHE Flora Micro The General Hydroponics 3-part, mineral-based nutrient system was introduced ma..